Douglas Fir is a splendid pyramidal evergreen conifer, with short-stalked flat, dark green or bluish green needles, 3/4" to 1-1/4" long. Bears cones at maturity 2"-4" long. Douglas Fir is not a true fir but a rapid grower, hardy tree that grows well in a variety of soils and does best in deep-well drained soils. Douglas-fir provides lumber for homes and other buildings for much of the northern part of the country. It is common in the Pacific northwest into California in the mountains. Trees there grow to 8 or 10 feet in trunk diameter in the woods. Plants adapt best to eastern landscapes with some irrigation in summer dry spells. Specimens in the east can be found growing well without irrigation provided roots are allowed to grow in an area undisturbed by urban structures. Trees can be sheared for Christmas trees. My brother lives in Sandy, Oregon near Mt Hood. 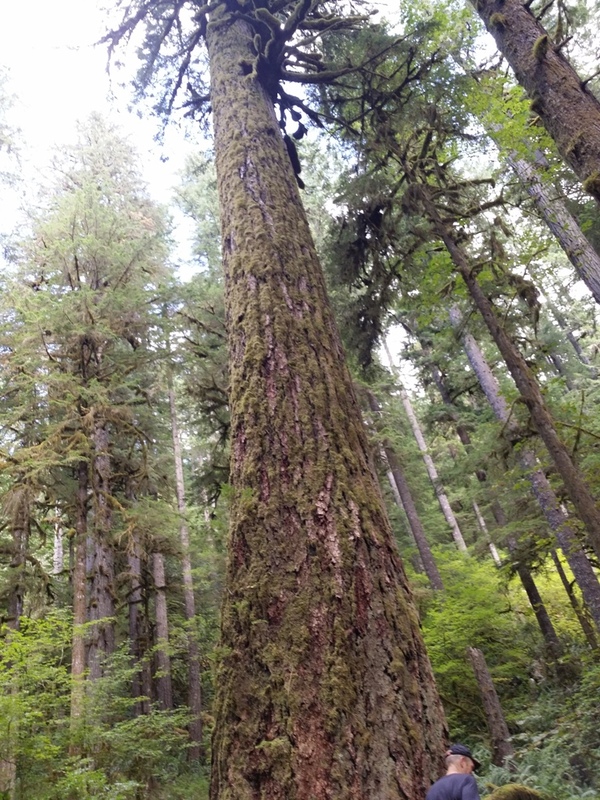 His backyard is filled with large douglas fir approaching 100 years old. The trees are all about 3-4' in diameter and 100' tall. 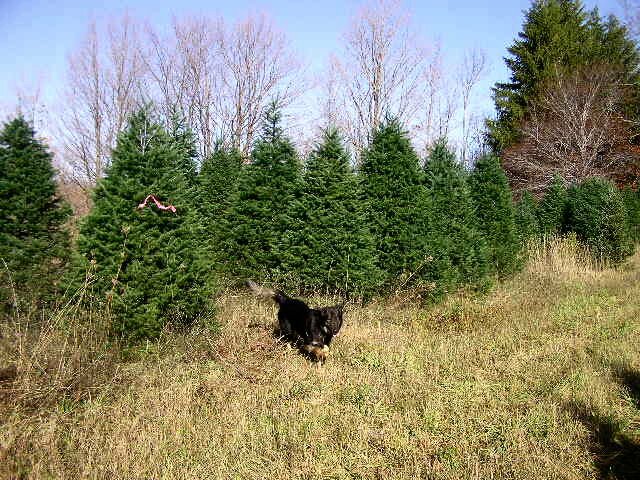 Douglas Fir prefers a sunny location with a moist soil and is not considered a good tree for much of the South. It grows but struggles in USDA hardiness zone 7. There is a west coast douglas fir that is hardy only in a narrow range of temperatures so make sure you order the inland variety. 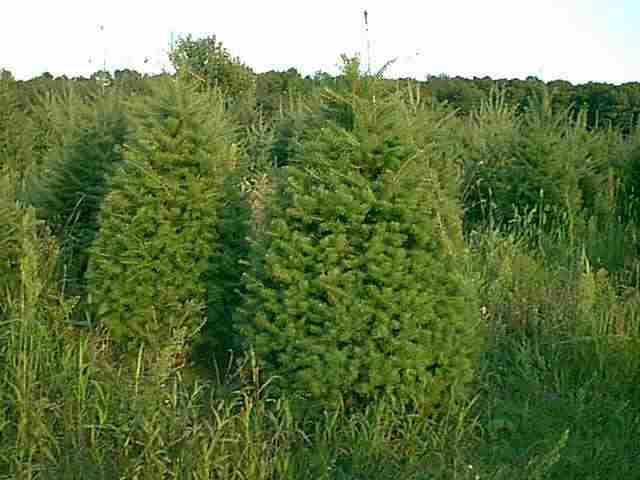 Douglas-Fir transplants best when grown in root containers and has a moderate growth rate. It will get quite dense from pruning and shearing but will not tolerate dry soil for extended periods. Protect from direct wind exposure for best appearance. Some occasional watering in summer dry spells will help the tree stay vigorous, especially in the southern end of its range. Douglas Fir is susceptible to spring frosts so always plant with good air drainage..
Cones are not a litter problem. 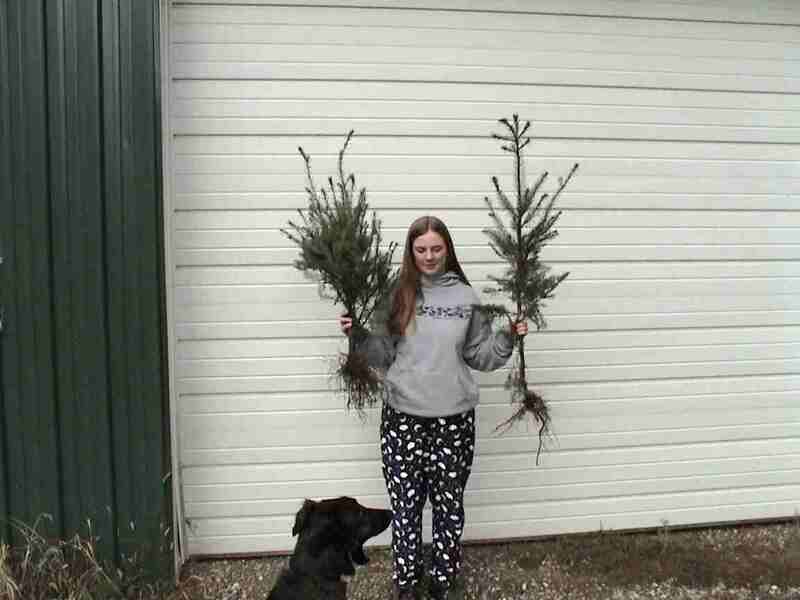 Many buy Douglas Fir seedling for Christmas trees. Douglas Fir are also picturesque ornamental trees, good windbreaks, and can be sheared as a hedge and..... are very fragrant.. Douglas Fir are native to the following North American states: Arizona, California, Colorado, Idaho, Montana, New Mexico, Nevada, Oregon, Texas, Utah, Washington, Wyoming. To buy Douglas Fir seedlings and transplant use the table below. To order Douglas Fir by PHONE: We're glad to take your order by phone. For your convenience, we have a toll free number 800 568-9179. Phone orders can be charged to VISA, or MasterCard accounts.